Candi sugar is a Belgian sugar commonly used in brewing, especially in stronger, Belgian beers such as the dubbel and tripel. It's a great source of fermentables and flavor and you can make it at home by following the intructions below. 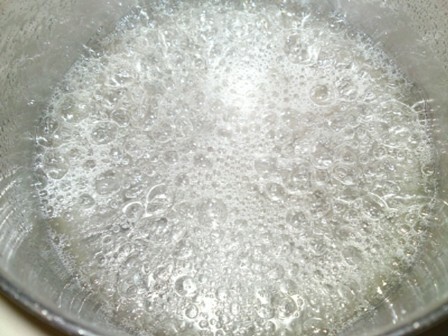 Mix 1 lb of plain white sugar with 3 cups of water in a heavy bottomed saucepan. 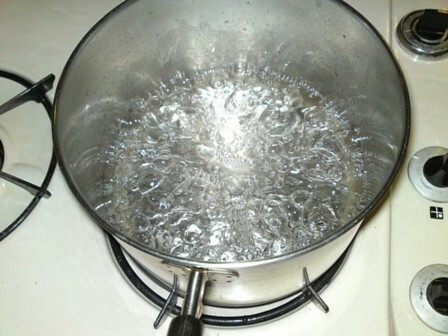 Monitor the temperature until it hits 285 degrees, then add a tablespoon of water. 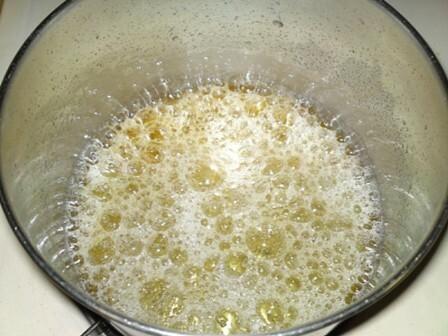 Adjust the heat until it is hot enough that bubbles appear all over the surface of the syrup, but not so hot that the bubbles build way up the pan. Repeat this as needed, not letting the syrup get above 285 (This will be a lot easier if you have a thermometer with an alarm). During this process you will smell an amazing range of aromas including butter, rummy and sort of a roasted raisin. 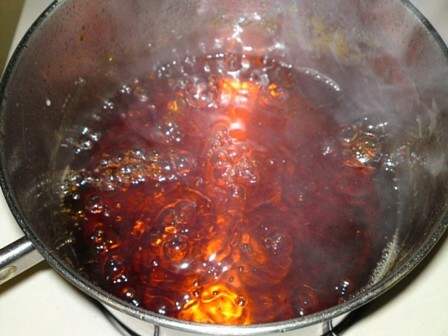 Once the syrup takes on a nice dark color, add 1/3 cup of water and let cool. 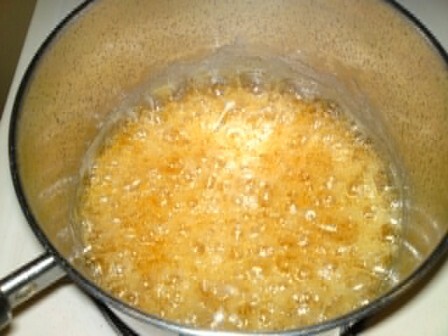 For a dark candi sugar, increase the time from 90 minutes to around 3 hours. Some additional notes mention this DIY is for candi syrup, not rock candy. 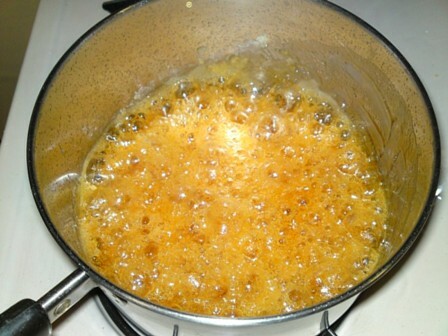 To make rock candi, try following the same procedure but once it is done, stop adding water and the sugar will crystalize quickly.